Martin Bridge and the rest of the Junior Badgers can’t wait for the fireworks show on the weekend. When Martin’s cousin Fletcher arrives to stay at his house, his guest is not so excited about fireworks, or about Martin’s space hero Zip Rideout. All Fletcher wants to do is read thick books with no pictures. Do the cousins have more in common than it appears? In the second story, Martin is struggling to contain his excitement. He’s sure he’s due to receive his prize for the Zip Rideout Trivia Contest – Zip’s Space Race Game, deluxe edition. This must be what his Dad meant when he said that his parents have a surprise for Martin. He gets so carried away that he invites all his classmates over. Did Martin ever stop to think that the surprise might not be what he hopes? 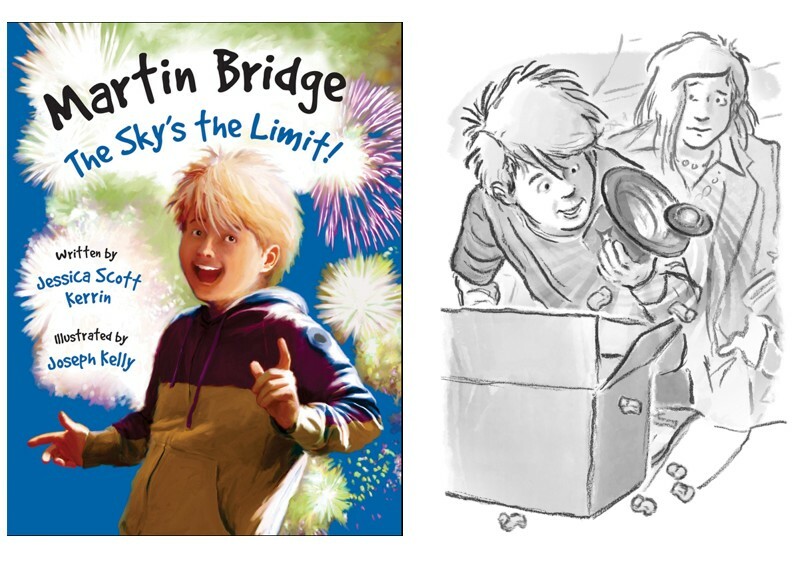 Join Martin Bridge as he reaches for the sky with two new stories and some activities to help kids explore the universe.